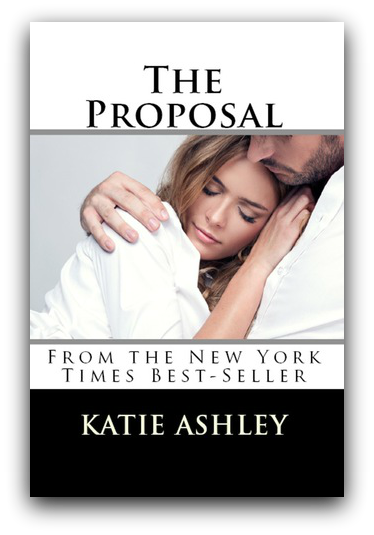 The Pairing in a companion novel to The Proposition and The Proposal novels. In The Proposal we are introduced to Pesh who was the attending physician who treated Aidan’s father, Patrick when he was rushed to the emergency room. Patrick was going to force Aidan’s hand to make him admit his feelings for Emma, by playing match maker with Pesh and Emma. However, Emma was in love with Aidan and only found friendship with Pesh. It appears that match making runs in the family. Aidan and Emma are playing match maker in The Pairing. Aidan and Emma are celebrating the baptism of their son, Noah, with Pesh as the godfather and Megan as the godmother. It is evident that Megan and Pesh are attracted to each other. Pesh is thirty seven and wants a committed relationship with the hopes to marry again someday. Megan is twenty five and wants to live a little since her life revolves around her fifteen month old son, Mason and nursing school. After a night of Aidan playing bartender, Megan is a little drunk since she doesn’t usually drink. Megan is straight forward with what she wants from Pesh, but Pesh being the gentleman that he is, can’t oblige. But that doesn’t mean that they two of them didn’t have a little fun. Two months have passed since that night, and it was as if fate was playing a role in this pairing, as Megan gets placed at the hospital where Pesh is the attending ER physician to complete her clinicals for nursing school. Megan is embarrassed by the way she acted that night, but it doesn’t appear to bother Pesh. Pesh wants Megan and he is determined to make Megan his. Pesh is a gentlemen and Megan is feisty! Megan says what she feels and has no problem saying what she wants. Megan doesn’t want to fall in love, for fear of being hurt again. Megan wants one thing from Pesh, but Pesh isn’t that type of man. After thinking Megan’s proposition through, Pesh comes up with an offer of his own. He will give her what she wants, and in return, Megan will give Pesh what he wants. This is where the fun begins. Can Pesh be the man that Megan wants? If Pesh gives in to Megan’s needs, will Megan give Pesh what he wants? Will Pesh be able to show Megan that she deserves more than what she is used to? Can the two of them play this game and both get what they want? By Pesh giving into Megan, will he be able to show Megan what a life with him would be like? As things with Pesh and Megan begin to unfold. Megan realizes that she has feelings for Pesh. Will Megan admit her feelings to Pesh? Will Megan realize that she deserves a man like Pesh? Can Megan give Pesh what he wants? Will Pesh accept Megan and Mason, since they are a package deal? Can Pesh be the father than Mason needs and deserves? I LOVED this book. The chemistry between Pesh and Megan was great. To see how two different cultures combined and accepted each other because the two of them loved each other was heartwarming. I found Megan to be hilarious. She said exactly what she felt and what she wanted and never apologized for it. At times, I found myself laughing out loud with some of the things she said to Pesh. There was more to Pesh than just his proper attire and the way he spoke and treated people. Pesh had a side to him that once Megan committed to him, he unleashed. I enjoyed getting more of Aidan and Emma as well. The Fitzgerald family is great. I love the dynamics between all of them and I enjoyed seeing their family grow. I am sad to see this series come to an end. I hope that Katie Ashley decides to give us a little more of them sometime in the future. Even if it is just a novella.